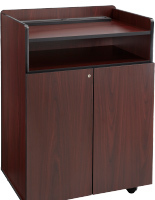 These standing wood podiums are laminate veneer podiums and feature half the price of solid wood presentation furniture. 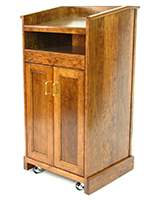 The fixtures for business are also used in restaurants as a hostess stand. 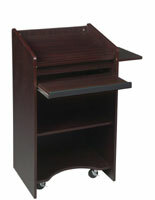 These great wood podiums, also have a multitude of uses in a school environment. 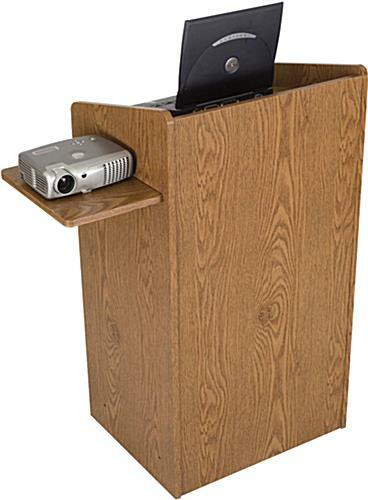 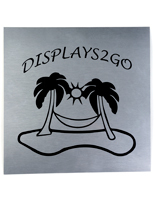 The angled desktop is comfortable for writing, computing, or reading and the sliding tray is great for accommodating keyboards and reading materials. 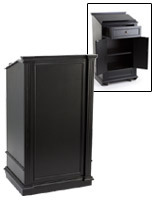 The podiums contain (2) interior shelves for storage, plus wiring ports for a cleaner presentation area devoid of cables or cords. 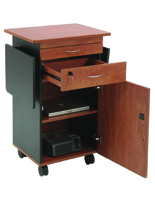 Four recessed locking casters keep the unit in place for a stable presentation. 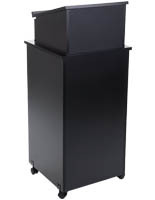 27.8" x 46.0" x 20.1"
23.5" x 33.3" x 19.5"